Make it easier for your customers to fill in your forms, no printing & scanning required. 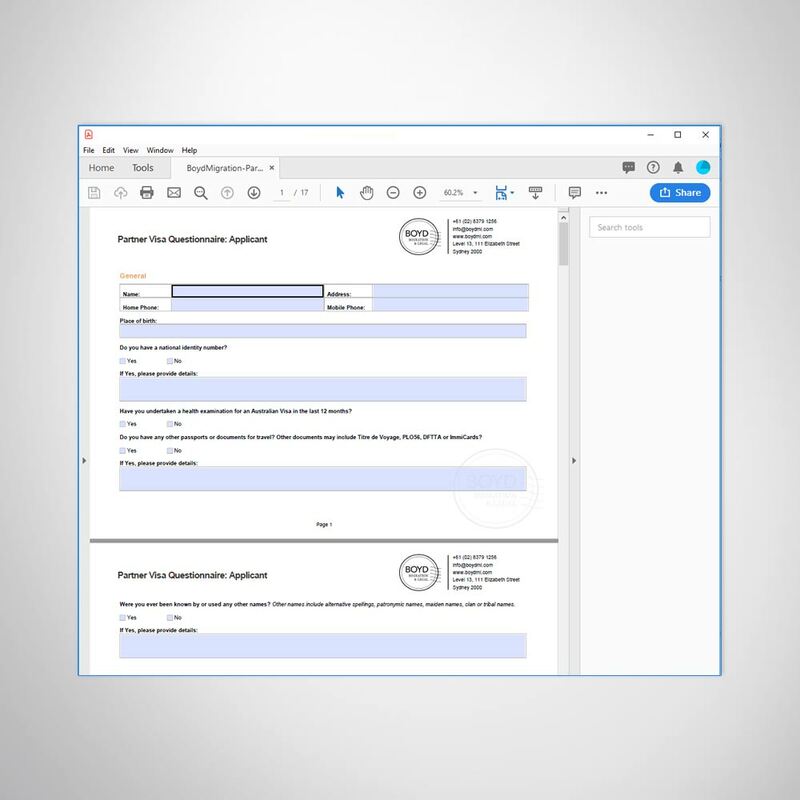 Enable your customers to fill PDF forms online, by making your existing Microsoft Word Documents or Standard PDF’s Word interactive PDF forms. 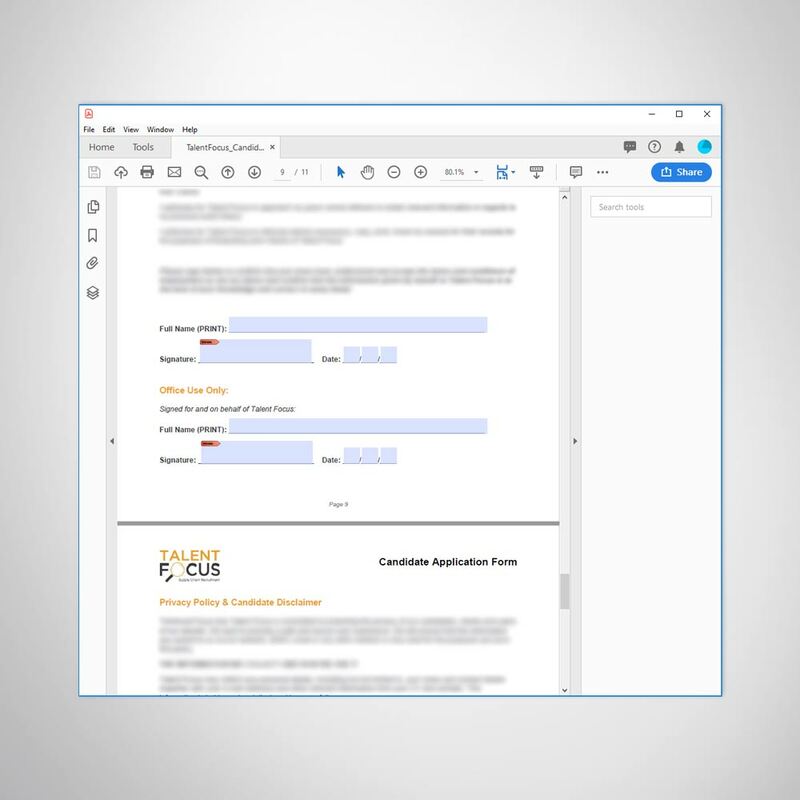 Enabling your customers to fill PDF forms online can make your data collection process more efficient. Not only that, but it also makes it easier for your customers, who no longer have to worry about printing and scanning back your forms the old fashioned way. Create your form in Microsoft Word and save as PDF, then send it to us and we can convert it into a fillable PDF form for you. Whether your form is in Microsoft Word or PDF format, we can help. We have the ability to turn your form into an online fillable PDF. Handy hint to creating functional and easy to use forms: Don’t be afraid to use tables as your text boxes and form structure. This makes for a tidy design and user friendly functionality. DocuSign not reading your PDF form fields correctly? We can help fix that too. If you already have a PDF form which you are having trouble loading in DocuSign, because it is either not converting your radio buttons or text fields correctly, we can review the issue in the in the form field settings and help you resolve the problem. Contact us about our Fillable PDF Form Services Melbourne.